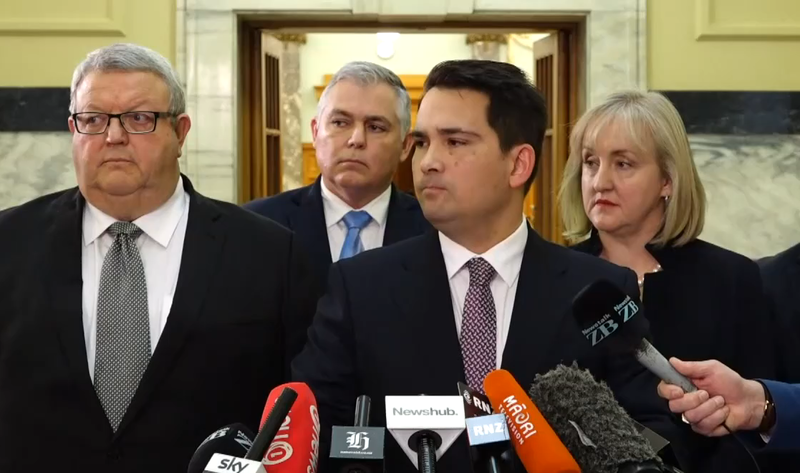 The Speaker Trevor Mallard has reportedly called off the inquiry into the leaking of National leader Simon Bridges' expenses. Newshub said today Mallard has ruled it is a National Party matter and therefore not something Parliament needs to be involved in. Bridges told a media conference this morning he wanted the investigation continued. He said police had identified the person who sent him a "dark and concerning" text message claiming to be the leaker of his expenses. Mallard told The New Zealand Herald this morning he will be making no comment on anything to do with the incident or the inquiry until the terms of reference are prepared: "end of story". Mallard had appointed former solicitor-general Michael Heron, QC, to investigate the leak, which showed Bridges had spent $113,000 in a three-month period on travel expenses and Crown limo costs. Bridges says he has been "very worried" about the health of an anonymous person who texted him about the leaking of his travel expenses - and says police know who sent the message. He said he received the "dark and concerning" text message on Thursday and it was sent also to speaker Trevor Mallard and a media organisation. "The text made clear to me that it was from the leaker ... [and that] the leaker was in the National caucus," Bridges told the media this morning. "I was very worried about it. I spoke to senior colleagues and then replied, saying my utmost concern was for the welfare of the person. "Later that day I received expert advice on how to proceed. "On Friday I informed the police with my clear concern being for the mental health and well-being of the individual. "Police assessed the information supplied as a mental health issue requiring an immediate response," police said in a statement issued today. The National Party was advised that police would not disclose the individual's identity for privacy reasons. Police said they had dealt with the matter "entirely from a mental health perspective". Bridges said he has not questioned members of his caucus about whether they sent the text. He said he believed he has the support of his colleagues and his main concern was for the wellbeing of the person who sent the text. Bridges said the person who sent the text clearly knew his mobile phone number and Mallard's. He said he would not release the text to the public. Bridges and Mallard both received an anonymous text message last week from a person claiming to be responsible for leaking the information to Newshub, RNZ reported earlier today. A request by The New Zealand Herald for comment after Bridges' press conference was declined.